﻿ Georgia Backroads Magazine - Georgia history, scenic attractions and Southern lifestyles. Hoyt Brown's "At the Wall" print is the perfect gift for a Georgia Civil War buff. We also publish and offer for sale a selection of archival quality books – both hard and soft-bound – with a focus on Georgia's rich history. Prefer not to use your credit card online? 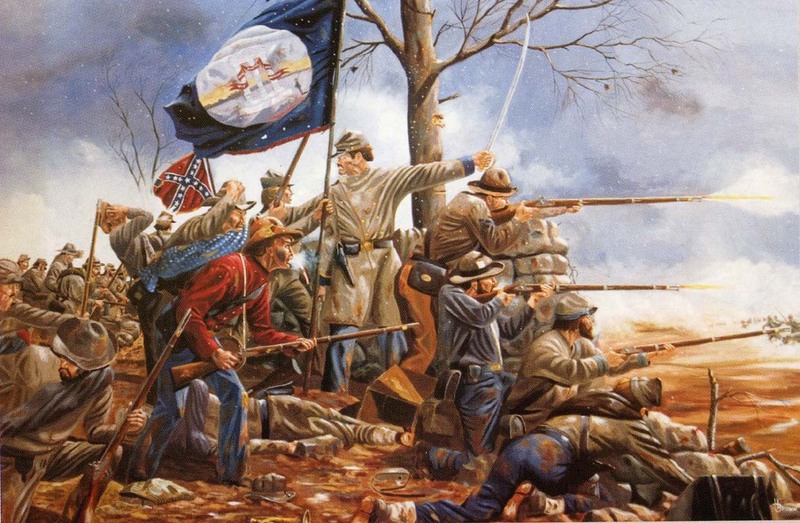 A hauntingly realistic depiction of Thomas R. Cobb’s Brigade defending Marye’s Heights at the December 17, 1862, Battle of Fredricksburg. Less than 100 of the original 500 copies remain of this high-quality print by Georgia artist Hoyt Brown. Dimensions: 21 inches by 29 inches (18” x 27” without border).